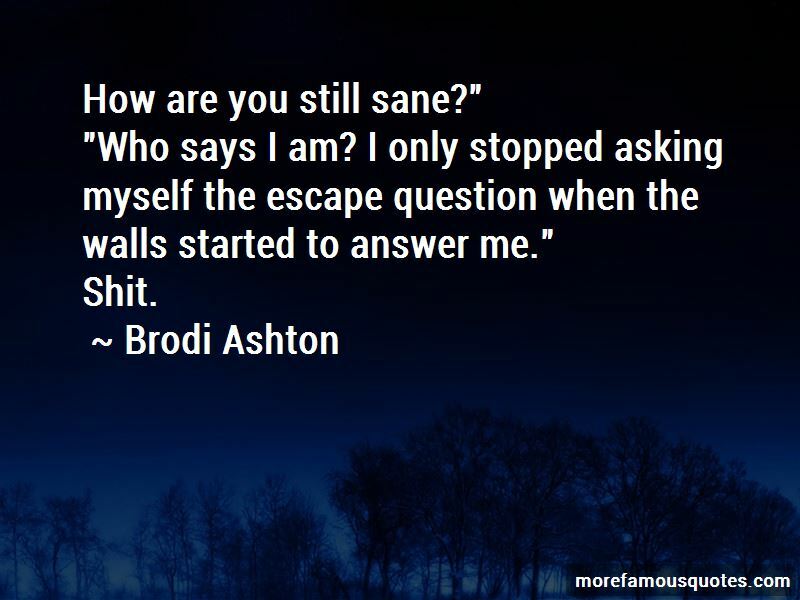 Enjoy reading and share 43 famous quotes about Still Sane with everyone. “I don't really remember making a decision. I don't remember thinking to myself, "Yes, I will do this," or, "No, I will not do that." They tell you what to do, and you do it. You don't reflect on it. You don't ponder its meaning. You don't explore its ambiguities or consider its consequences. These burdens are removed from you. In theory. “How are you still sane?" "Who says I am? I only stopped asking myself the escape question when the walls started to answer me." “By that point, it'll have been more than year since I met Lulu. Any sane person would say it's too late. It already felt too late that first day, when I woke up in the hospital. But even so, I've kept looking. 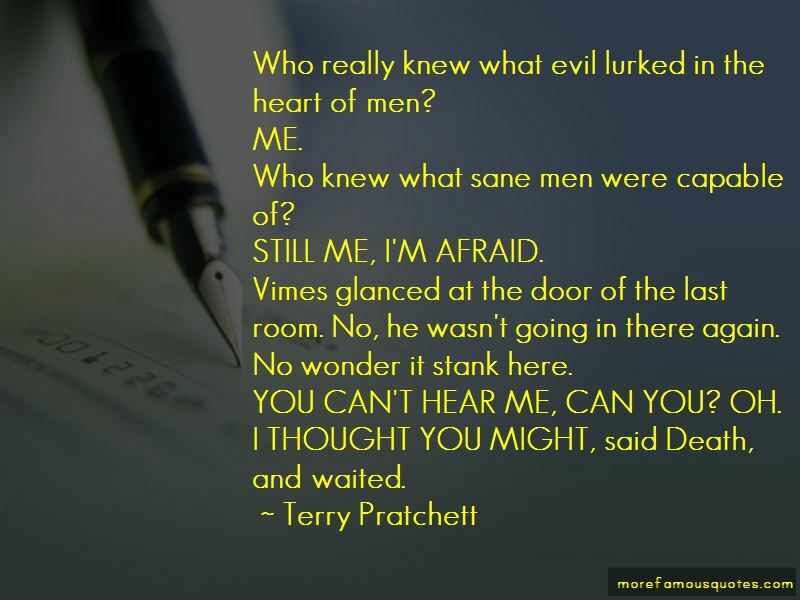 “Who really knew what evil lurked in the heart of men? Who knew what sane men were capable of? Vimes glanced at the door of the last room. No, he wasn't going in there again. No wonder it stank here. “Bones glanced behind me, with just the barest inclination of his head. I walked away from him, muttering, "Don't worry, you don't need to have Mencheres break out the invisible straitjacket again. I haven't gone crazy. I just didn't understand until now." “Why are you still with me, Fry?" CyFi asks after one of his body-shaking seizures. "Any sane dude woulda taken off days ago. “Oh, oh, you will be sorry for that word! Give me back my book and take my kiss instead. And you may watch me purse my mouth and prink! Oh, I shall love you still, and all of that. “Why can't I do it?" [Isabel] asked ... .
“We Americans are not usually thought to be a submissive people, but of course we are. Why else would we allow our country to be destroyed? Why else would we be rewarding its destroyers? Why else would we all - by proxies we have given to greedy corporations and corrupt politicians - be participating in its destruction? Most of us are still too sane to piss in our own cistern, but we allow others to do so and we reward them for it. We reward them so well, in fact, that those who piss in our cistern are wealthier than the rest of us. “Don't expect me to be sane anymore. Don't let's be sensible. It was a marriage at Louveciennes-you can't dispute it. I came away with pieces of you sticking to me; I am walking about, swimming, in an ocean of blood, your Andalusian blood, distilled and poisonous ... I can't see how I can go on living away from you-these intermissions are death. How did it seem to you when Hugo came back? Was I still there? I can't picture you moving about with him as you did with me. Legs closed. Frailty. Sweet, treacherous acquiescence. Bird docility. You became a woman with me. I was almost terrified by it. You are not just thirty years old-you are a thousand years old. 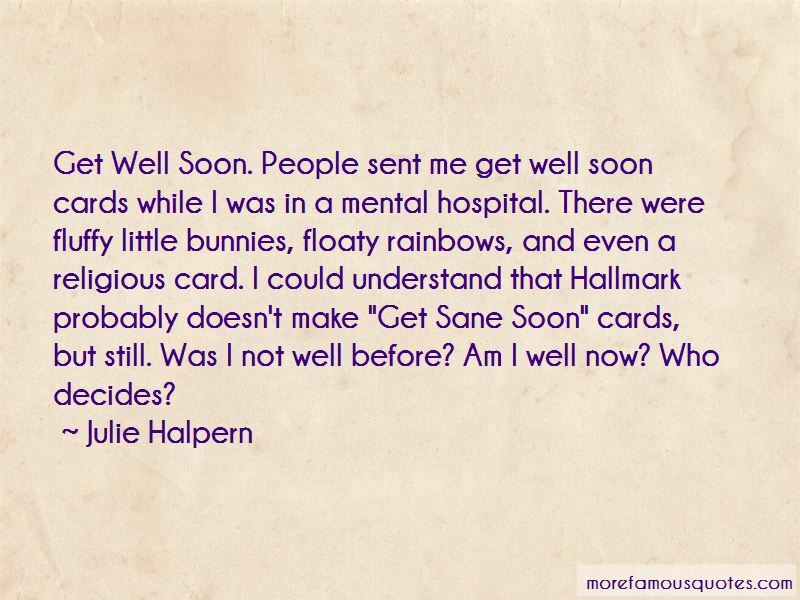 Want to see more pictures of Still Sane quotes? 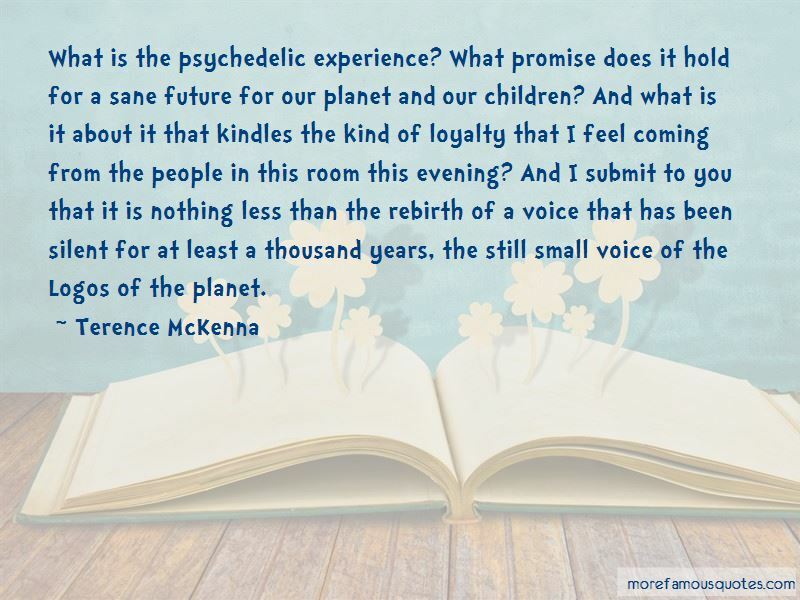 Click on image of Still Sane quotes to view full size.